New Orleans: In the days, months and years following the devastation wrought by Hurricane Katrina, tens of thousands of earnest volunteers descended on New Orleans. Often sojourning in one-week increments, the volunteers brought what hope and healing they could in the way of unskilled labor, basic carpentry, plumbing and painting, caring arms and a listening ear. 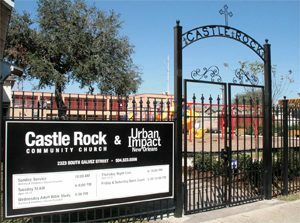 Urban Impact Ministries (and its core partner, Castle Rock Community Church) were also there but not on a short-term mission. The Evangelical outreach had been ministering to NOLA’s poorest-of-the-poor since 1989. Katrina may not have been the genesis of Urban Impact Ministries; however it helped spotlight longstanding needs in some of America’s most desperate communities. One of those communities is Central City, New Orleans. 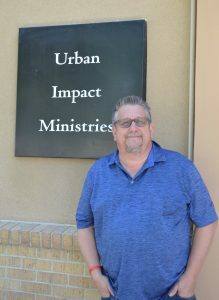 Pastor John F. Gerhardt and his wife Wendy made a five-year commitment to lead Urban Impact Ministries in 1992. They have been in Central City ever since. We spoke with Pastor Gerhardt to get a sense of life as an urban missionary and to hear how his ministry has fared post-Katrina. BPE: To start, may we ask where you grew up? BPE: And you felt that you were called to New Orleans? Gerhardt: Yes. I’m glad I was called when I was and not while I was college playing in bands. If I’d have come here in my 20s, then I would have been in trouble. No, my wife and I felt called here after taking a short-term mission trip. We raised support and moved here in 1992, gave a five-year commitment, and we have been here ever since. BPE: Please tell us a bit about what you do here. Gerhardt: Urban Impact is an organization with a vision to create a neighborhood in Central City, New Orleans, where kids can ride their bikes, have schools of excellence, places to worship, and housing that their family owns. That’s our way of doing evangelism and discipleship. We holistically reach out to folks. We concentrate on youth and their families. Some of that stuff we do great, especially the reaching out to youth. Tyrone (Christoph), who runs all our youth programs, is 34 now. I met him as a fifth grader. All of our youth programs are run by people who came up through the programs as kids. It’s great to watch that – the reaching out to kids and having them realize that God has a plan and purpose for their lives. They don’t have to follow the stuff that is in the streets. Within that outreach is Bible study and playing ball. That’s sixty kids for eight weeks of free day camp. That’s taking 42 kids to camp each summer. That’s mentoring and hanging out. It’s all ways to introduce people to the Gospel. God is the one who saves them; we’re here to disciple and move them down the road. BPE: They say that in The Kingdom of God, there is no such thing as chance. You were here on the ground when Katrina hit. What was your response? Gerhardt: Our initial response was to evacuate 72 people. We ended up in Hot Springs Village, Arkansas, which is one of the largest gated retirement communities in the world. You know God’s got a sense of humor, when he piles 72 people from the hood in with these white middle-class grandmas and grandpas. But that church up there was the Church. It rented houses where we could live. It lent us office space for our staff. We couldn’t have gotten through things without them, but we were determined to come back and bring God’s Kingdom to this part of the city. BPE: It’s been almost 14 years since Katrina. Could you share, from a resident’s perspective, some of what is happening here on the economic and social side? In 2011 the ministry was able to purchase a Katrina damaged church school and begin demolition and cleanup of the facility with mission teams. Gerhardt: Since Katrina, we’ve seen a renaissance in New Orleans, with a combination of entrepreneurs moving into town and Millennials who want to change the world. There has been some good and bad with that, which has kind of changed the face of New Orleans. Socially, we’re in the midst of the great Charter School experiment. There are five schools in this area, which means five different school boards, five different school calendars. And this is true for 90% of the schools in New Orleans. Schools have gotten better, but we still lag behind. There is still an education gap which causes many of the problems we have in this city. BPE: What about the housing situation? Gerhardt: People think the city has come back, but 80% of the houses in this area (Central City) are still vacant or torn down. About 25% of those houses were vacant before the storm. This neighborhood is a pocket that people don’t know much about. People outside of New Orleans think about the Ninth Ward, the French Quarter. I’m not saying the Ninth Ward wasn’t devastated and will take generations to be able to come back. But this is a pocket in the central part of the city which hasn’t tasted some of that renaissance. Where our ministry used to be located – about two miles south of here – that part is now all gentrified. There’s a 400-seat jazz theatre, coffee shops, restaurants, etc. But the struggle here is what does that kind of redevelopment do to the poor? It pushes them into tighter and tighter pockets, displaces folks that have been in neighborhoods for generations. When all of this happens it’s a two-edged sword. The city is getting better, so everybody is getting better. But you look at the income gap between the haves and have-nots. In America it’s a struggle, but in New Orleans it’s a huge struggle. BPE: Weren’t there housing projects in this area before the storm? Gerhardt: The housing projects that were central to neighborhoods pre-Katrina have all gone to HOPE VI money, with less dense/mixed income housing. Overall, it has raised the level of the neighborhood, but it has also changed it. 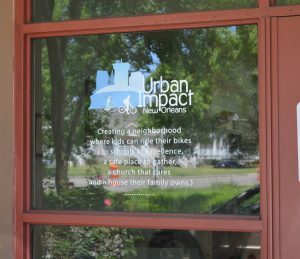 New housing is reflected in the office entry door of Urban Impact Ministries. If you look across the street from our facility, upwards of 5,000 people could live there. That has totally changed the dynamic here. I know that Baltimore is facing some of these very same issues. But better – for me as a Christian – is the question, “What should the Christian response be?” How do I jump into this at a time when this issue has become so polarized? We know God wants us to be unified, but what does that look like? You get two sides arguing “It’s a systemic issue” vs “It’s a personal responsibility issue.” When I look at what the Bible teaches, God says “Yes – it’s both.” Neither side wants to deal with the totality of the problem, because they’re locked into their philosophy, their power. BPE: And this vexes the Church? Gerhardt: Well, because of that, you can’t deal with the complexity of the problem. BPE: What has been going on here spiritually since Katrina? Gerhardt: You know, there was a time, when the storm first came, where it was all for one and one for all. But then, life just started getting in the way again. I think there was an openness to the Gospel – not just to hearing it – but an openness to God about what’s going on. New Orleans is this melting pot. I joke that it is the most highly developed Caribbean island in the world. It’s who we are with infrastructure and with the Caribbean influence on philosophy, lifestyle and life. So, you have the influence of island spiritualism blended with the Catholic church. That affects how people view who God is and what God does. For a handful of years after Katrina, there was a unity that was really refreshing. Then life got in the way, and I’m not pointing any fingers, because it got in my way, too. It affected who we are and what we do – how we pay our bills and so forth. That is the one good thing about a catastrophe. It shaves everything down to the bare-bones – to what life is really all about. Editor’s note: This is the 30th part of an ongoing series which will look at the places and people that make up the rich history and diverse nature of spirituality, belief and observance in Baltimore and beyond. Read the series here.